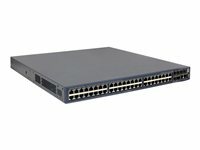 The HPE 5500 HI Switch Series delivers outstanding resiliency, security, and multiservice support capabilities at the edge layer of data center and large campus networks. Advanced technologies include OAM, CFD, RRPP, BFD, Multi-level QoS, MPLS, and VPLS. The HPE 5500 HI Switch Series provides higher levels of security with hardware-based, wire-speed access control lists (ACLs). The HPE 5500 HI Switch Series supports advanced classifier-based QoS which directs traffic using multiple match criteria based on Layer 2, 3, and 4 information. It applies QoS policies such as setting priority level and rate limit to selected traffic on a port, VLAN, or whole switch. 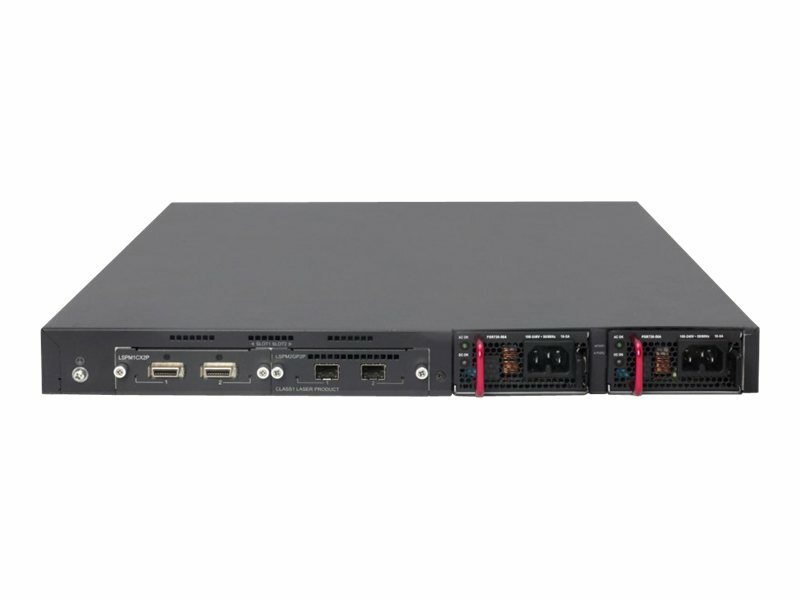 The HPE 5500 HI Switch Series supports flexible authentication methods including 802.1X, and MAC and Web for greater policy-driven application security. Offers scalable stacking with fixed or modular 10GbE uplinks (SFP+ and 10GBASE-T) and up to 1440 W of PoE+ power with dual redundant hot-swappable power supplies for growth and reliability. Hewlett Packard Enterprise Intelligent Resilient Fabric (IRF) virtualizes up to nine physical switches into one logical device for simpler, flatter, more agile networks. 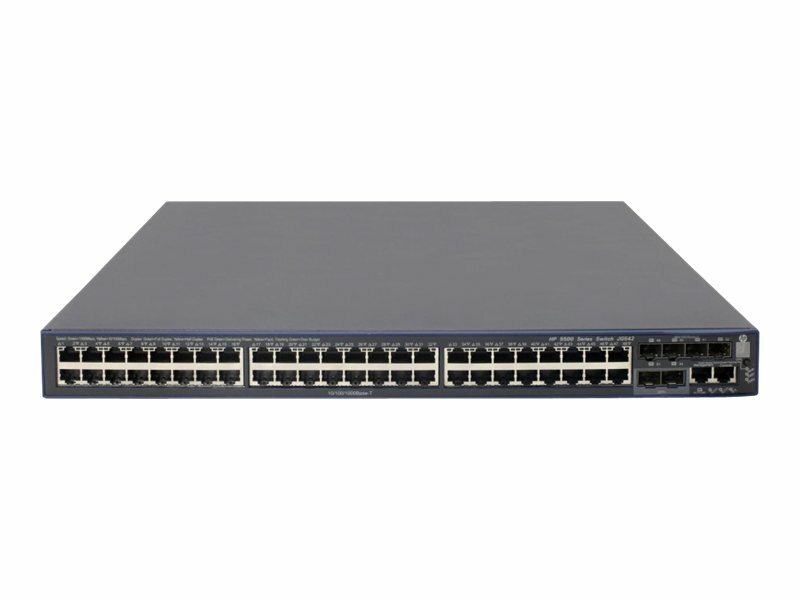 The 5500 HI has IPv6 support and fully featured L3 functionality, including RIP, OSPF, ISIS, BGP, and PIM. Non-blocking architecture delivers up to 224 Gbps of wire-speed switching with a non-blocking switching fabric and up to 167 Mpps throughput. Creates traffic classes based on ACLs, IEEE 802.1p precedence, IP, and DSCP or Type of Service (ToS) precedence. Supports filter, redirect, mirror, or remark tasks. This Series offers identity-driven security and access control with automatic VLAN assignment. Per-user ACLs allow access to specific network services without risking network security. 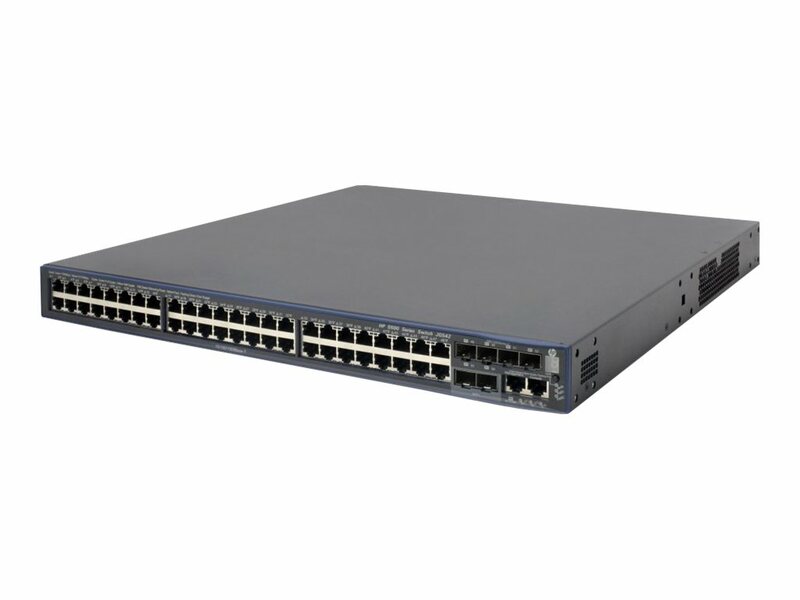 Security features include: IP source guard, DHCPv6 snooping, STP BPDU port protection, RADIUS/HWTACACS, and SSL.